In order to live full-time in an RV, we have to radically reduce the amount of stuff we have. Starting in May 2016, we have to whittle down the equivalent of a 2 BR home (with garage) to the few belongings that will fit in our starter RV. No storage unit allowed. Follow along as we de-clutter and shed on our way to a minimalist RV life. We’ll keep count of how much stuff we shed, discuss philosophies/approaches to dealing with stuff, and share the tips we learn along the way. We may even have some guest content from friends who’ve attacked their own de-cluttering projects. In addition to blog posts, we’ll be making videos, posting updates on social media, and even selling some stuff in a virtual yard sale. Plus, you can subscribe here to get weekly updates on our progress as well as tips for your own shedding projects. 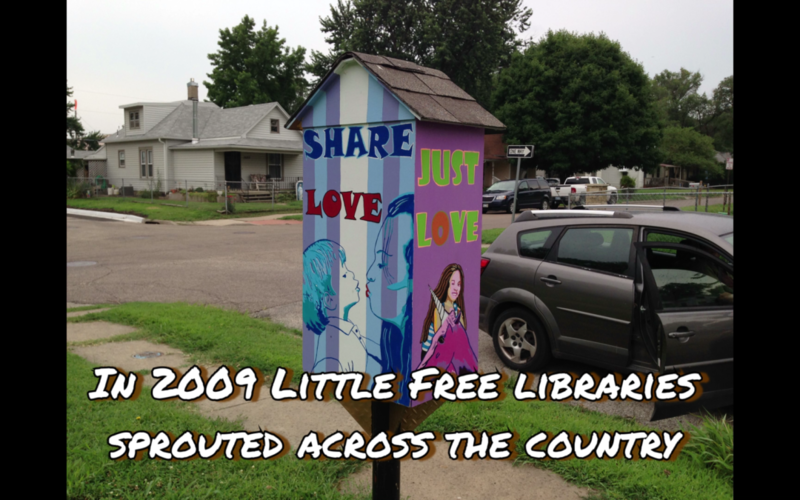 Little Free Libraries are a great way to donate those books you no longer need. It is a grass roots movement that is spreading across the nation. In almost every town we’ve traveled through there’s been at least one of these libraries. You can visit their website to find one in your area. 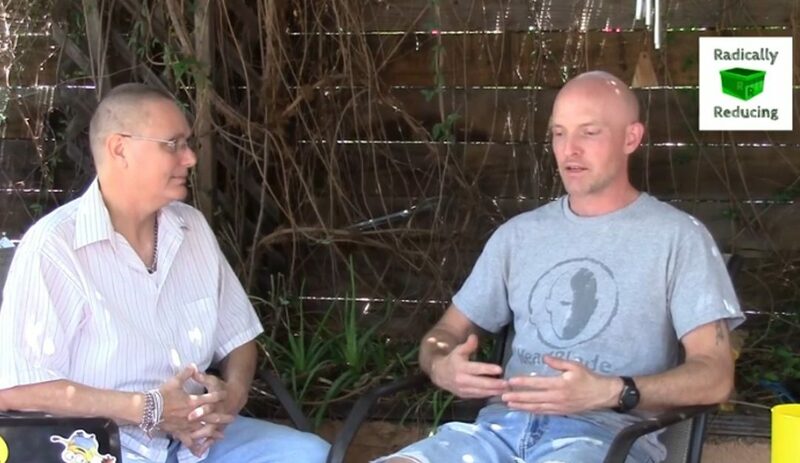 In this video interview we talk to Sean Boyle about his experience of forced minimalism. After losing everything, he traveled over 1,000 miles on his bicycle back to Phoenix with just a trailer filled with what was left of his belongings. This teaches a valuable lesson about letting go of stuff before the decision is made for you. Sorting our books was one of the hardest tasks we’ve tackled so far in our #RadicallyReducing project. We are both avid readers and wordsmiths. We have books dating back to our childhood and books that we’ve bought together. Some books remind us of special times in our lives while others have shaped our personal philosophy and spirituality and others are simply windows into fictional worlds that we return to again and again. When it comes to books, people have very definite opinions. We carefully choose, read, and savor each and every book that comes into our home. Some people even consider characters to be another form of friend. Books can represent knowledge, status, and hold memories of the first time you read a story – or the time you re-read it during an emotional time of your life. All of that makes it that much harder to contemplate sorting through your books to decide whether to remove them from your library. You don’t have to be doing a #RadicallyReducing project to consider de-cluttering your wardrobe. 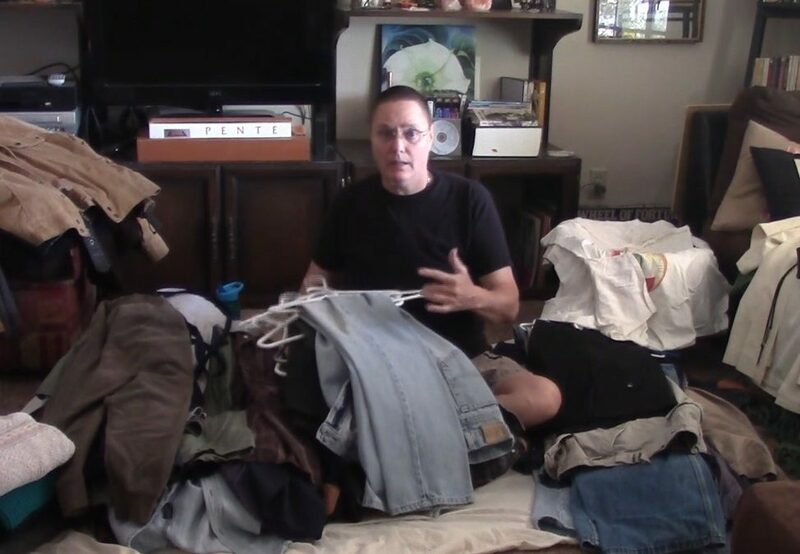 Clothing is a big part of our lives and most people tend to accumulate clothes over time, resulting in overstuffed closets and drawers and even boxes and tubs of clothes stored in basements and garages. We covered some of the lessons we learned about reducing our wardrobes in this blog post. We also sat down and summarized the process in the video below. Clothing, style, and how we look can be intimately tied to our identity. Purging our wardrobes to keep only those clothes that we actually wear on a regular basis flies in the face of this idea. Letting go of pieces of clothing can feel like letting go of pieces of our self, our past, our loved ones. Yet, for a de-cluttering or other reducing project, we have to find a way to make peace with that idea. 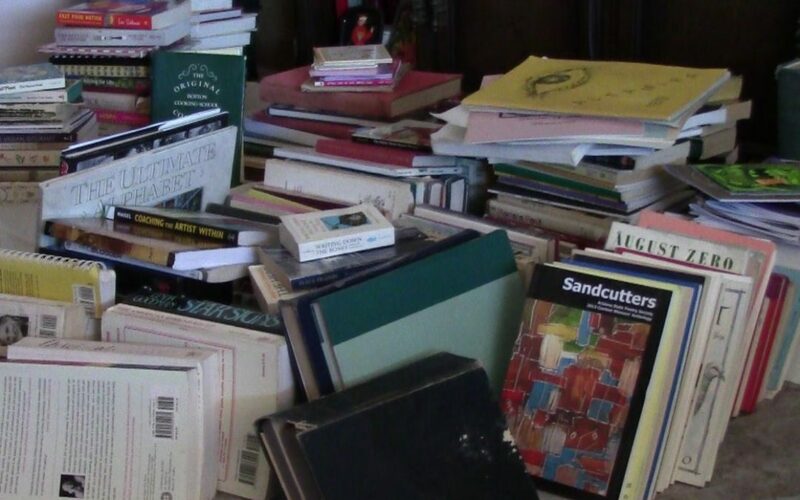 Tackling a de-cluttering project can be wrought with physical and emotional challenges. 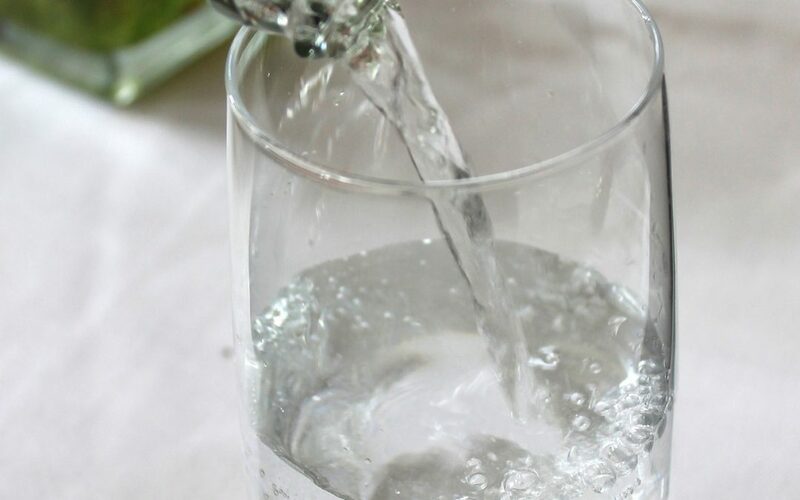 That’s why it’s so important to put yourself front and center when you plan out your sorting and purging schedule – and to keep self-care in mind throughout the entire process. 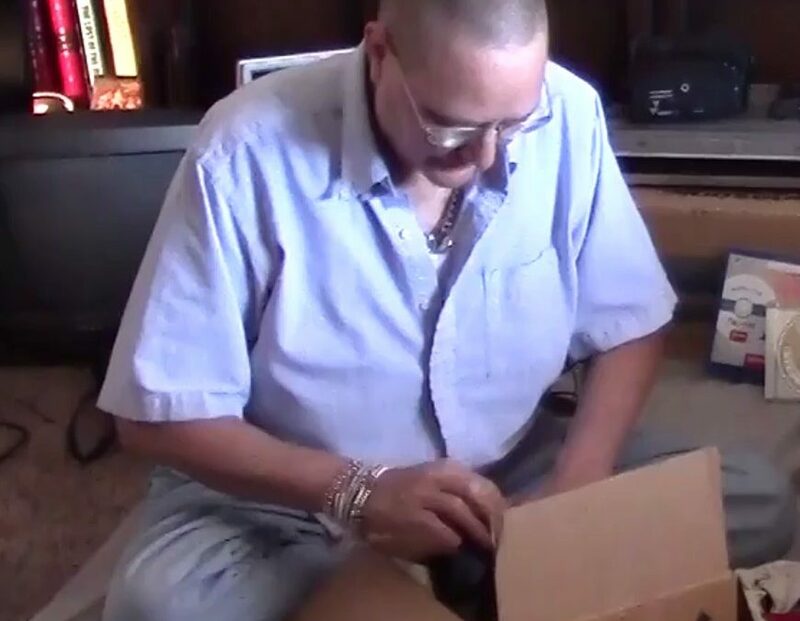 If you are starting to de-clutter your life, getting rid of small things, sorting through boxes and bins packed long ago and hidden away from sight, be aware of what any box might contain. Be conscious. You could be caught by surprise. Feelings that you didn’t know you still had can be lurking in the dark corners of your psyche. Reducing your belongings in the 21st century is going to involve a lot of electronics. If you’re old enough, you’ll have really old stuff, like floppy drives and disks and actual film cameras as well as plenty of coaxial cable and analog cords. At least that’s what we found when we gathered all our technology and electronics into a big pile and decided what to keep, what to discard, and what to keep for now. 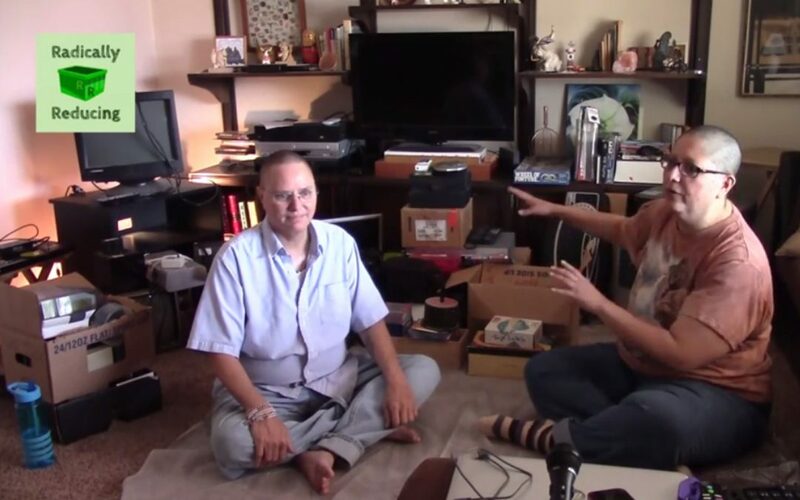 In this video we discuss the options available for selling, donating, and recycling electronics as well as what to do with “emotional bomb boxes” when you encounter them.